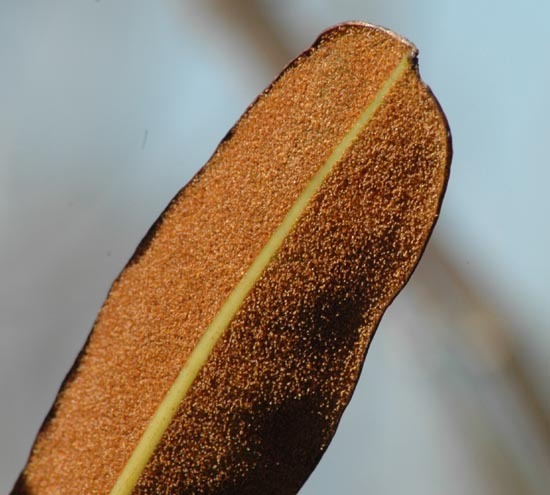 A. danaeifolium, ventral surface of fertile frond showing sporangia. Habitat/Ecology: Freshwater and brackish marshes, hydric hammocks. 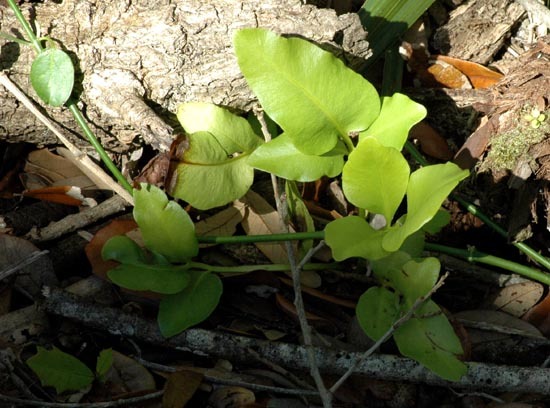 Frequently found associated with mangroves in the Indian River Lagoon. Identification: Our largest fern, fronds to 2 m long and .5 m wide. 3 Overall appearance is of a robust plant more like a palm than a fern. 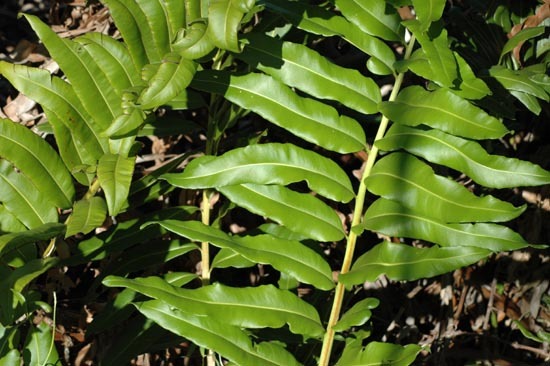 Young plants can be mistaken for flowering plants due to very different frond morphology. The similar A. aureum has sporangia only on the upper 5 or fewer pairs of pinnae, with no overlapping by the pinnae. Reproduction: Typical for fern, sporangia bear spores which develop into a small gametophyte. Young sporophytes have distinct appearance. Observations: At MINWR this plant can be observed growing at the bases of the perimeter dike and among mangroves within the impoundments. The plant appeared to be able to tolerate some flooding but was not seen in open water of any considerable depth. It is not seen in dry soils. 1 - Wunderlin and Hansen, 2003. 2 - http://plantatlas.usf.edu/ 3 – Nelson, 2000. 4 – Austin, 2004.